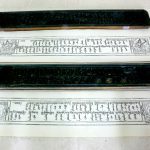 Woodblocks for the Tibetan-Mongolian Dictionary of Terms and Definitions, were first created in 1742 by Mongolian Buddhist scholars and translators, but these were lost. 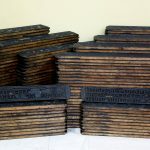 A complete set of the woodblocks was recreated in 1924 and were some of the last woodblocks to be created in Mongolia using traditional methods. It is these woodblocks that have been inscribed on the Asia-Pacific Memory of the World Register in 2016. Woodblocks have been produced in Mongolia since the 10th century. 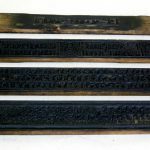 The inscribed woodblocks demonstrate the continuation of this printing practice until the early 20th century. They also illustrate the culture, traditions and technology of printing at a time when European printing methods were starting to be used. The dictionary has been a source of reference for Mongolian scholars, intellectuals and the general population over many generations. It is recognised for its practical translations and in-depth guidelines. The dictionary contributed to the development of the translation of the Tibetan Buddhist Canons Kanjur and Tanjur into Mongolian. These translations were completed in 1749. The dictionary also includes the theory of translation from Tibetan into Mongolian, and this theory is still useful today. It continues to be an invaluable source for the in-depth study of the Mongolian language and its evolutionary changes over time.